Seamfree | Apex Dental Materials, Inc. There is nothing worse than placing a layer of a composite and having the material stick to your instrument. 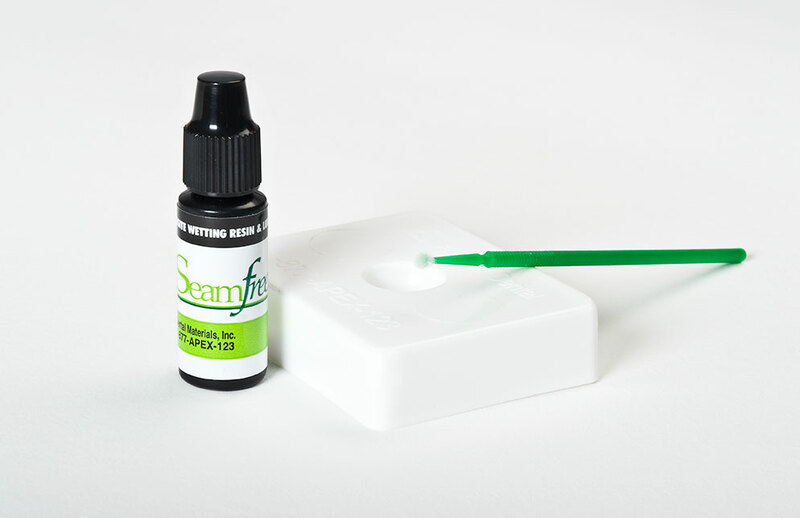 Seamfree is a wetting resin/lubricant designed to make the delivery of composite materials easier and more consistent by eliminating the tackiness that makes manipulation difficult. Seamfree eliminates handling issues, and does so without building film thickness or adding a visible seam between composite layers. 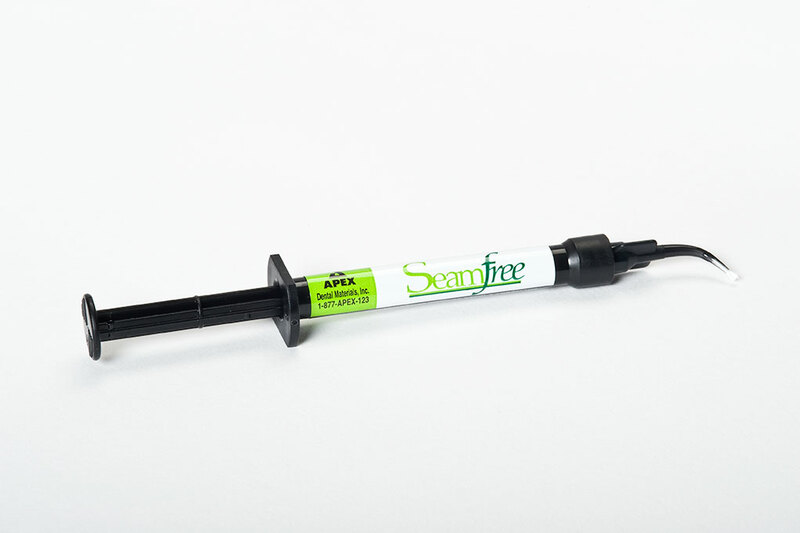 Seamfree is compatible with all methacrylate materials and can be used in all direct or indirect restorations. Expect More From Your Desensitizer: BondSaver and BondSaver D Offer a Lot More! I've been using seamfree on every composite since it has come out. Makes material to easy to handle and you never see a seam (hence the name I guess!) when you use it. I could not imagine doing a composite restoration without it. I have been using Seamfree for years and I love it. It makes sculpting composites fun and easy. No more material sticking to the instrument. It is a time saver and there is no issue with layering the composite. Makes for quick, easy, esthetic restorations. A must have in my arsenal.